I could hardly say that I knew Charles Kennedy well. I’ve wanted to wait a few days to let the sadness of his passing sink in, and to process just what it is that I loved about the man. In fact, we only met on a few occasions, and then only briefly, when I was working as a researcher in Parliament. My time in the Palace of Westminster was generally happy, mainly because I was one of the fortunate souls to have a boss that genuinely cared about his staff, and treated them as human beings. Observing other MPs going about their business, I’m afraid to say that many of them simply considered themselves too important to waste time on respecting junior members of staff – often young people – such as me. But on the other side of that coin, they are elected representatives attempting to weigh and reflect the views of tens of thousands of constituents; they are some of the busiest people working in our country. I was forced to recognise that even the apparently lazy ones, such as the MP in whose constituency I had grown up – the safest of Conservative safe seats – were quick to respond to real problems and attempt to deal with them. Nonetheless, MPs who were at least civil enough to acknowledge your existence were notable by their scarcity. MPs who were kind enough to feign an interest in you, at least for the short period of time you might be in the same lift, or walking side by side through the airy colonnade that connects Portcullis House and the Palace and is effectively Parliament’s pedestrian motorway. Wait there long enough and you’ll see anyone and everyone. MPs such as Charles Kennedy, who took a genuine interest in you, were – if you’ll pardon the Lib Demmery – gold dust. He made you feel that he had time for you, and he even remembered you subsequently, even if it just meant a small, wry smile as you passed. He was kind. How many people in the public eye could you say that about, with confidence? I’d call that an unusual mixture of humility and humanity. He had humility enough to remember and honour the value of all human beings. Others pay lip service to that notion; he lived and breathed it. I first awoke to the fact that I considered myself a Liberal Democrat under Charles Kennedy’s leadership. I had always followed politics with interest but, as I suspect many people continue to do throughout their lives, I always considered it a straight fight between Tories and Labour, certainly throughout the 1990s. I was a fairly well-read child, even in terms of current affairs, but I was only dimly aware of the Liberal Democrats at that time, and even then they were only represented in my mind by the towering but tarnished figure of Paddy Ashdown. I doubt I could have named another Lib Dem besides him until Charles Kennedy’s rise to prominence in the lead-up to the Iraq War. A few may even read yesterday’s debate in order to attempt to explain the otherwise inexplicable fact that the Conservative party of 2003 appeared more concerned at such a time to attack the Liberal Democrats than the Labour government. The fact that Blair was forced to hold a vote at all was largely due to the British people, of course, but it could also be ascribed partly to the courage of Kennedy, as well as the bravery of figures such as Robin Cook. Both men have now died untimely deaths, having spent significant amounts of their adult lives in Parliament. It should never be forgotten that Charles and the Lib Dems were on the right side of that debate. It is still the defining moment of my political life, the most disastrous foreign policy decision made by a government in my memory, and, perhaps above all, a permanent monument to the failings of a political system that favours patronage, party loyalty and “stable government” over truth, honesty and wisdom. The impact of the Iraq war still reverberates today in all sorts of ways. It defines UK foreign policy, which has become parochial, insular and tentative. We no longer wield the power and influence we used to wield. We would prefer to debate Trident from the point of view of its narrowly political relevance than from the point of view of international relations and military might. 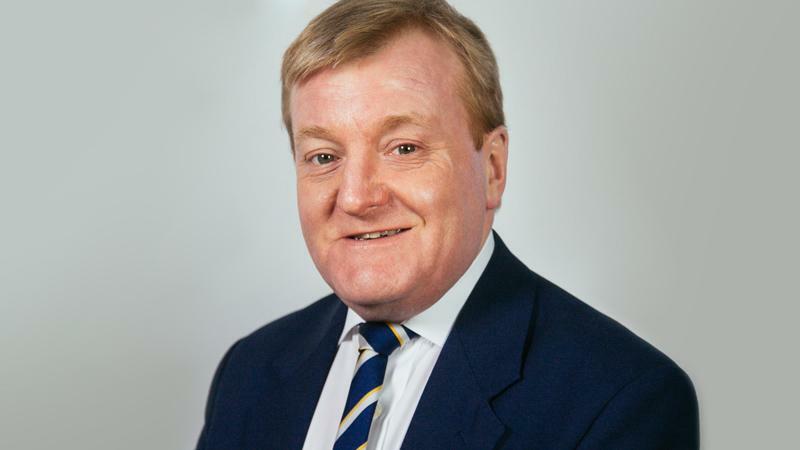 Standing for freedom, wisdom and sceptical internationalism, and against political triangulation, vested interests and deceit: that is what drew me to Charles Kennedy’s Lib Dems. I didn’t really know him, but I know the impact he had on me. He taught me that politicians could be really human and really brave; that you could be a leader and still come across as a warm, intelligent, curious person, with real flaws; that liberalism had a part to play in real decisions that had a major impact on real people. At the top of this post I said that I wanted to process what it was I loved about the man. If it’s anything, it’s this: that he was real. Good to read this, Tom. Judging from the many tributes paid to him, others also esteemed him highly.